I'm excited for another week to share some new polish I got. This time I am sharing two colors I got from a giveaway during the holidays from an etsy shop called Down The Bayou Lacquer. I love it because it's not something you can find in a store, but custom made. So that makes it pretty cool. 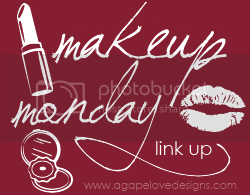 The shop is currently under going a new look and collection so it will be back up soon with products. 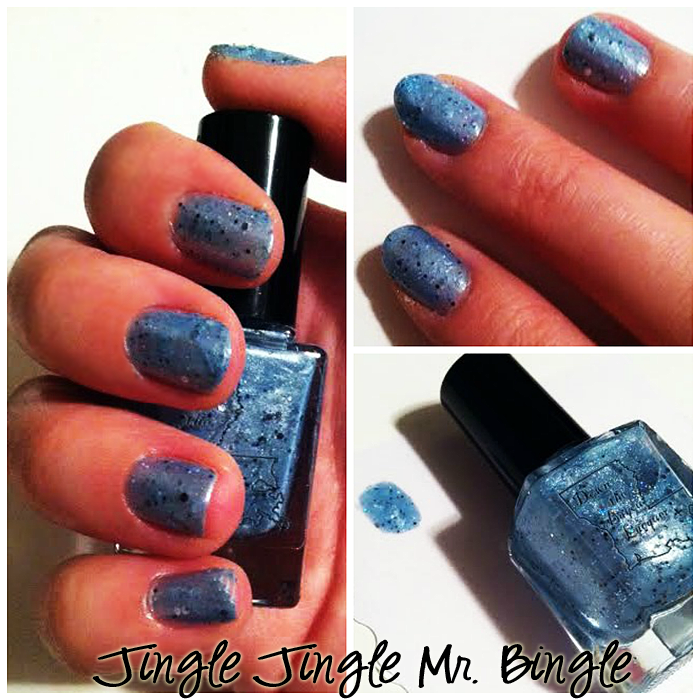 This polish is a frosty blue with multiple blue colored sparkles added to it. It reminds me so much of winter. I really like the feel of this color. Especially on those snowy days. To get the coverage, I applied three coats of polish to each nail. This polish is clear with multiple red and black sparkles. I paired it with Loreal's Rendezvous as a base coat to give the sparkles a bit of color. 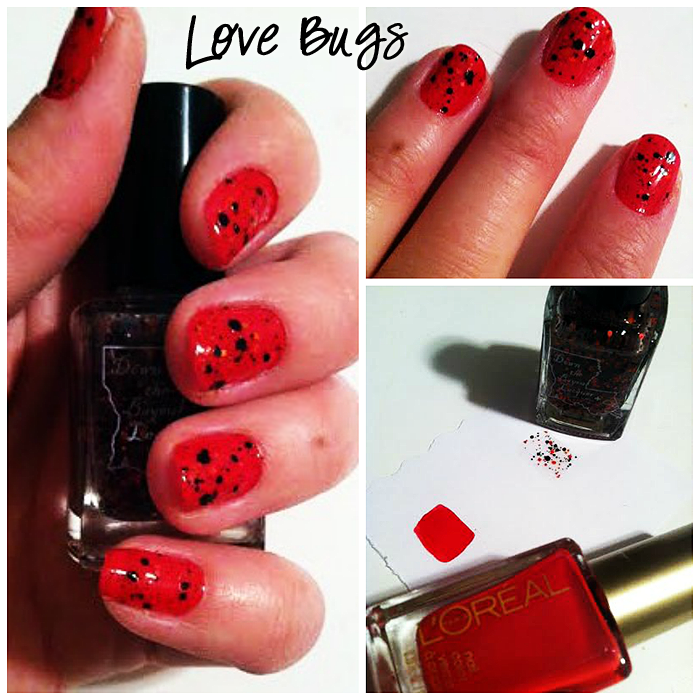 This combination reminded me of lady bugs, Valentine's Day, and Mickey Mouse.